Hapag-Lloyd has informed that they have decided to change the port rotation of their Conosur service beginning April 17, 2019. 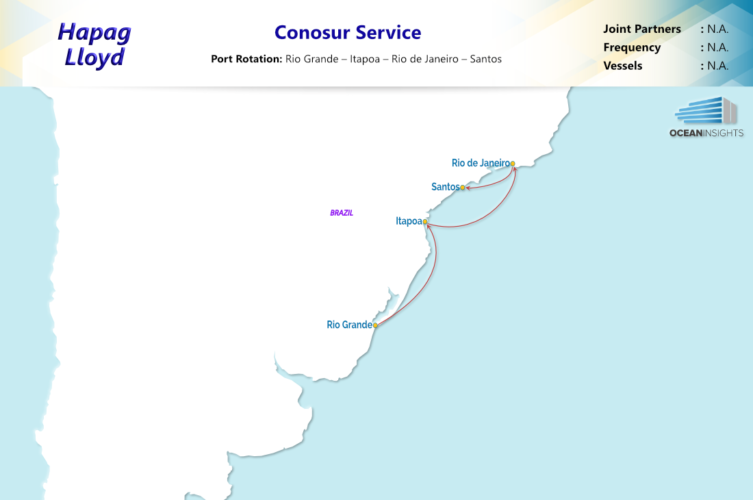 First vessel performing under the new rotation for Conosur will be E. R. BERLIN 916 WB, calling Rio Grande on April 17, 2019. As from above mentioned vessel the port of Bahia Blanca in Argentina, will be served on a fortnightly basis. Thus, every 15 days, Hapag-Lloyd’s vessels will serve Puerto Madryn and Bahia Blanca.